TGIF and hiya guys! 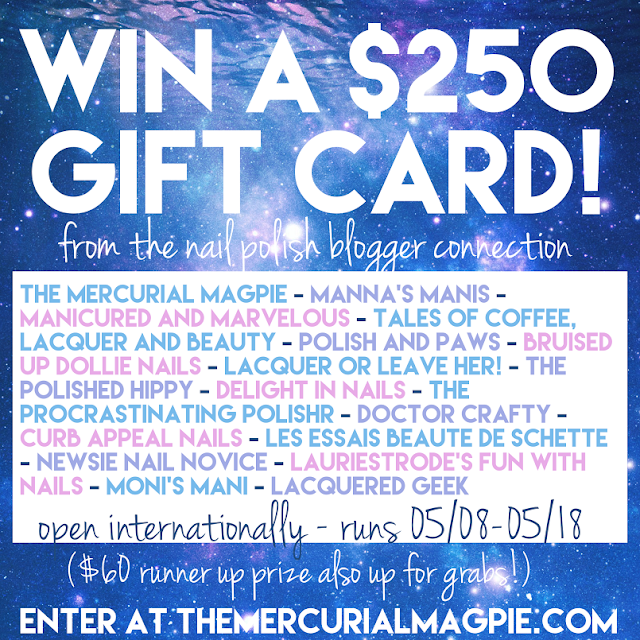 The bloggers part of the Nail Polish Blogger Connection have decided to join together and come up with this awesome giveaway. It's open internationally, so please be sure to join but not before reading the rules. If you have any questions, just let me know in the comment box. - $250 grand prize that can be sent either as an gift certificate to your favorite e-tailer or directly through paypal. - $60 runner up prize that can be sent either as an gift certificate to your favorite e-tailer or directly through paypal. - Lacquer Or Leave Her! 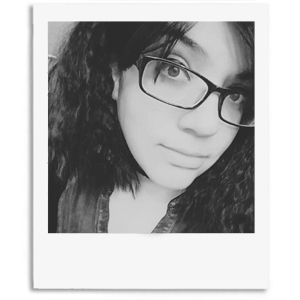 - The giveaway will run from today until midnight on Monday, May 18th. - The winner will have only 48 hours to respond to my email claiming the prize, after that a new winner will be selected. - You must be 18 or older to enter. - No giveaway-only, empty or spam accounts, those entries will be disqualified. All winning entries will be verified. - No following and unfollowing once the giveaway ends. Unfollowers will be banned from future giveaways. Omg! If i won i would splurge and buy a ton of indies that have been on my want list for a long time. Wow! I would put it towards some concert tickets or a hotel for this summer. If I won, I would use it for bills and groceries.